You are currently browsing the Collector Model blog archives for June, 2017. A few weeks back the kats here at AMT told you, “something hot is coming your way”. For those who picked up on the subtle hints/clues of that message, here it is. Another great kit for all the fire truck fans out there! The American LaFrance Custom Pumper. 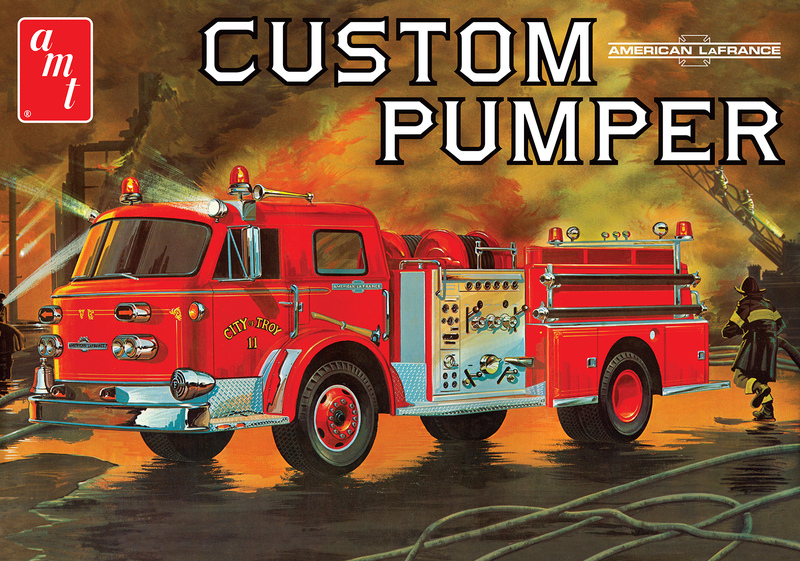 With well over 300 parts, including more than 100 chromed parts, the Custom Pumper is guaranteed to test your building skills—offering potentially great results you’ll surely be proud to display. Originally scaled from American LaFrance official factory blueprints, the assembled Pumper measures out at over a foot long! This latest release packs in all the familiar details you’ve come to know and love from years past: authentic siren, bell, horns and flasher lights, two suction hoses, a two-stage “twinflow” pump, hollow vinyl hoses, three ladders, a supercharged Detroit Diesel V-8 engine, authentically detailed decals, vintage packaging art, and more! So get your glue and paint ready. The Custom Pumper is headed your way. Available for purchase at your local hobby dealers, or online, later this summer! Yes, yes, we know: “It’s what is INSIDE the model kit box that counts.” But how many of you can say (when you were a young modeler back in the day) you never bought a model kit based on the box illustrations? 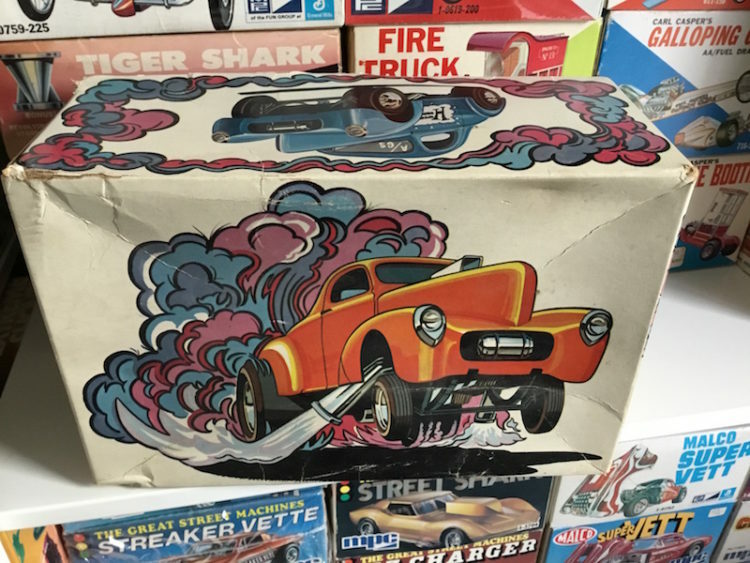 That fantastic commercial art of yesteryear drew us in and inspired us to build a kit “just like the box art.” Or, to take it any number of steps further and create our own unique interpretation by kit-bashing, restyling and outlandishly customizing those plastic parts! Here’s one very memorable AMT box, and despite it being beat up, creased and yellowed, it still inspires fun and creativity in modeling. What are some of YOUR most memorable and favorite kit boxes?